This fun decorated plate is one of the neatest ideas I have seen in a long time. It would be perfect for your Easter table too. Those beautiful stenciled designs are not paint. They are butter! They have decorated these plates with edible stencils. 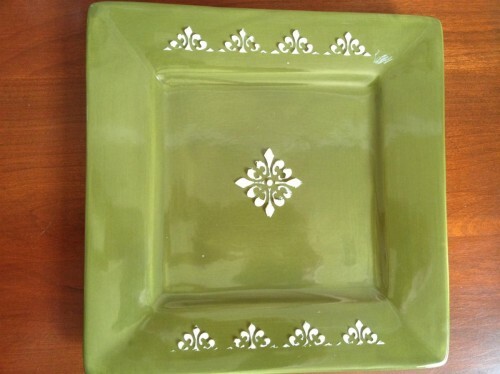 You can dress up your dishes for Spring in a completely non permanent plate. And it is perfect for a bread plate that will eventually need butter anyways! Find out how to decorate your plates with edible stencils over at Chica and Jo.